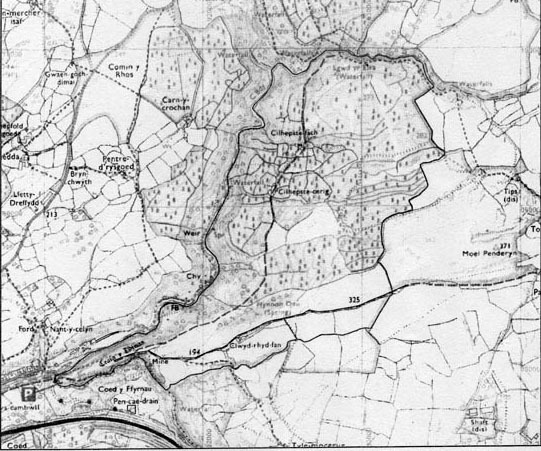 Craig y Dinas Mineral Estate including the Upper Dinas Silica Mine. 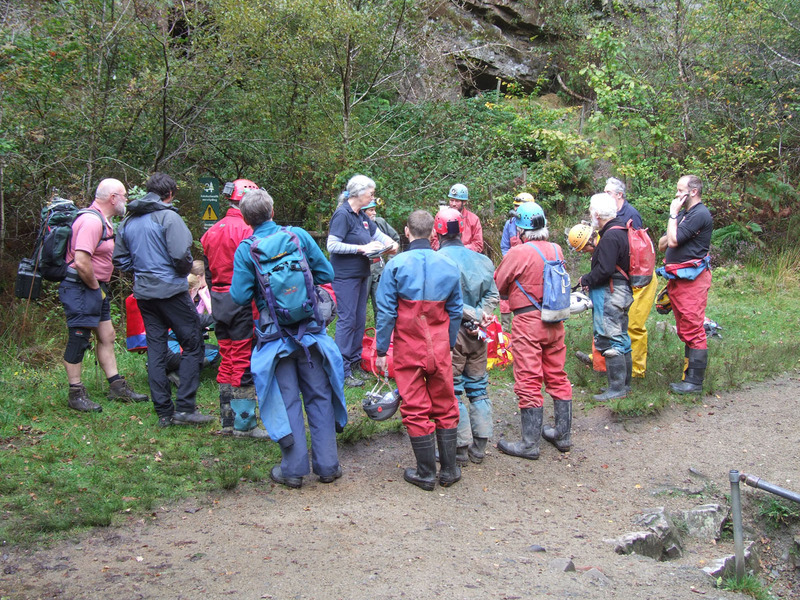 The Dinas Rock Car Park is being maintained by Natural Resources Wales (NRW), on behalf of the landowner, the Welsh Government (WG). 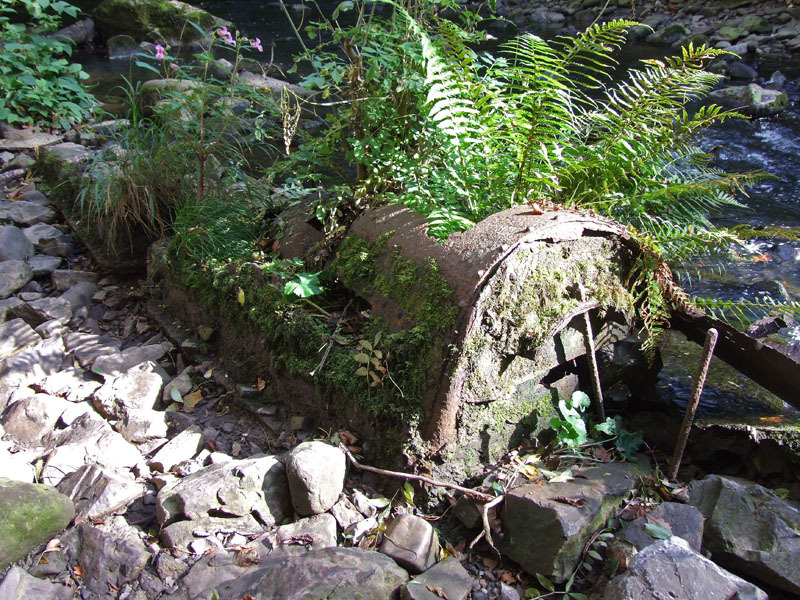 It passed to WG at devolution from Forestry Commission Wales. 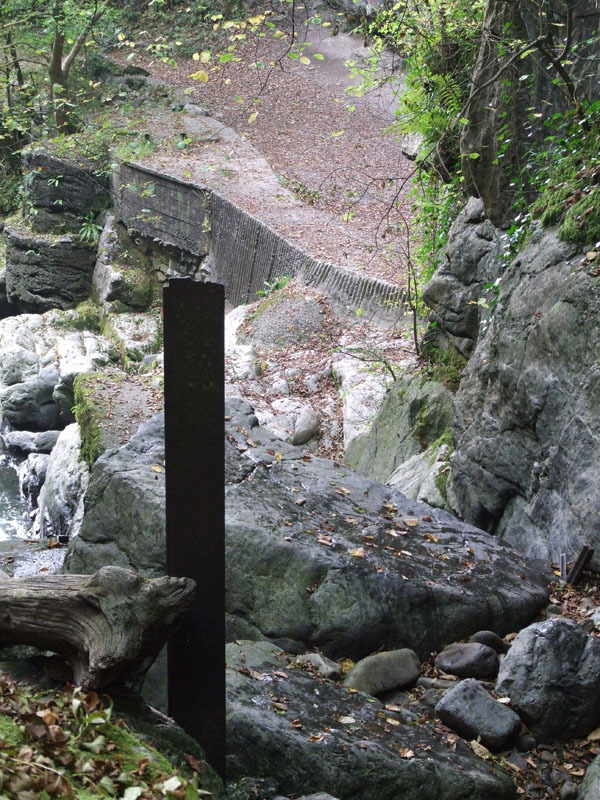 NRW have interpretation boards in place and even a changing facility for the gorge walkers. However it should be noted that although WG are the landowners, we are the mineral owners, so in effect is a kind of 'split ownership' whereby we own all relics of previous mining and mineral extraction and enjoy certain rights over the land. Visitors should note that the silica mines and the surface area surrounding is a Scheduled Ancient Monument and should be respected as such. It is an offence to damage or remove anything from this area both under the SAM status as well as common theft, as it is our property. The area within the fence in front of the mine entrance is now very overgrown and the popular route is up on the right to step over the fence. 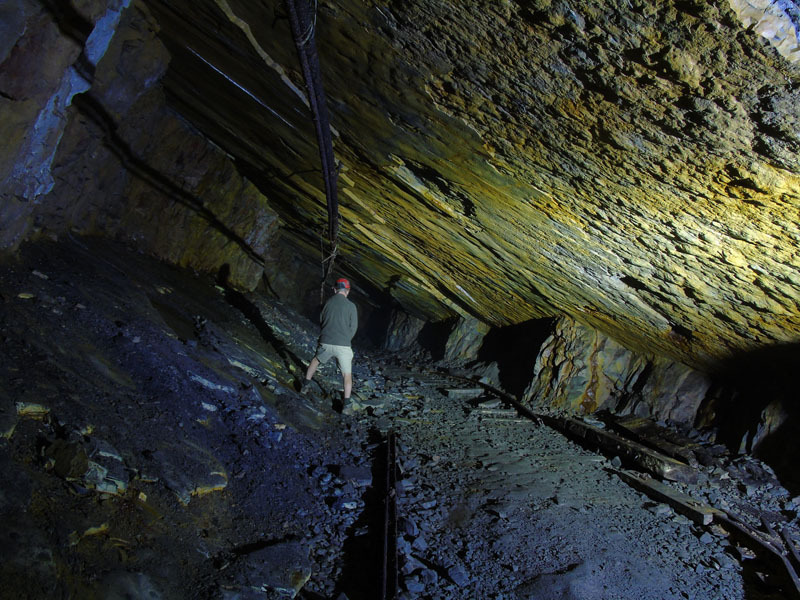 PLEASE READ OUR CONDITIONS OF ACCESS IF YOU WISH TO ENTER THE MINE! Just past the mine is a wooden footbridge leading to a large mine entrance. This is not our property and has nothing to do with our ownership. The Craig y Ddinas Mineral Estate extends northwards as far as Swyg yr Eria waterfall and encompasses the Dinas Rock car park and the Upper Silica Mine. 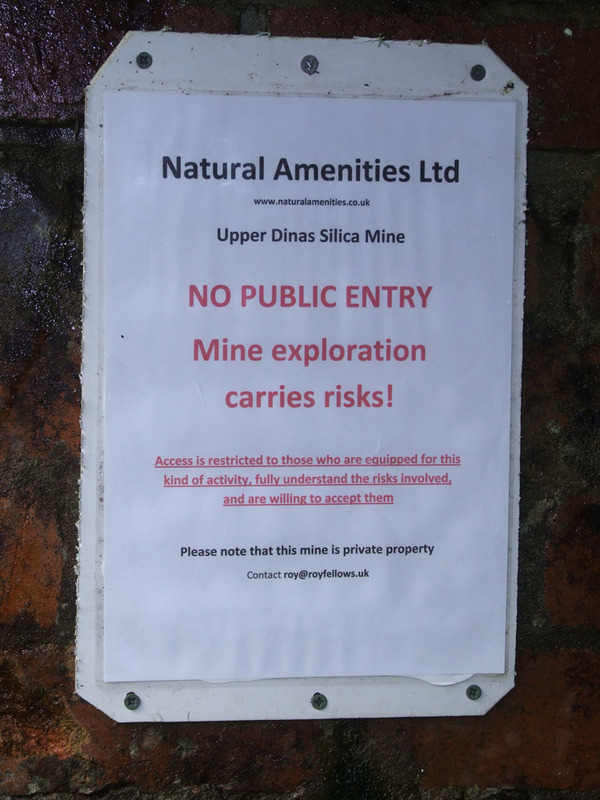 It is important to note that we have no material interest in the mines east of the Afon Sychryd, namely Lower Silica AKA Blue Silica, Middle Silica AKA Bwamaen Silica Mine. The upper entrance of which is over the footbridge as previously described. These are NOT our property. However. 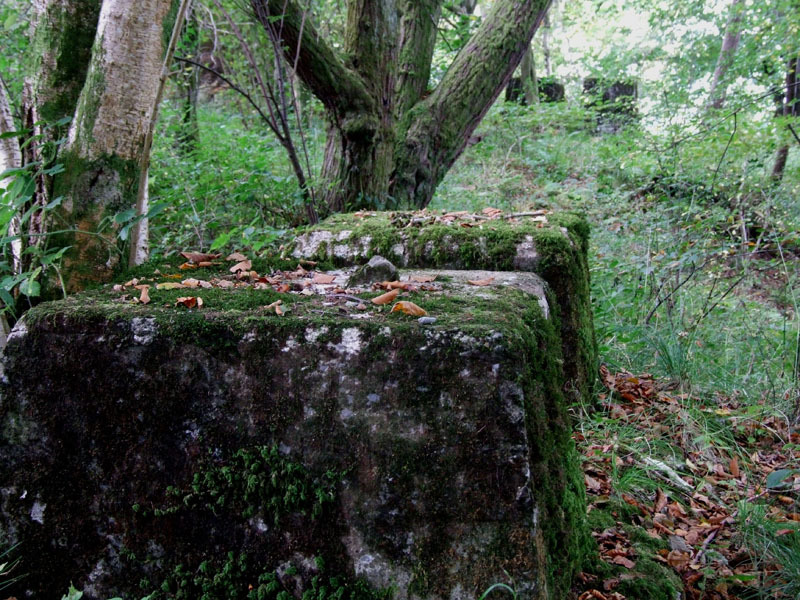 the following two pictures of surviving ropeway tower or 'standard' concrete bases are here for informational purposes. 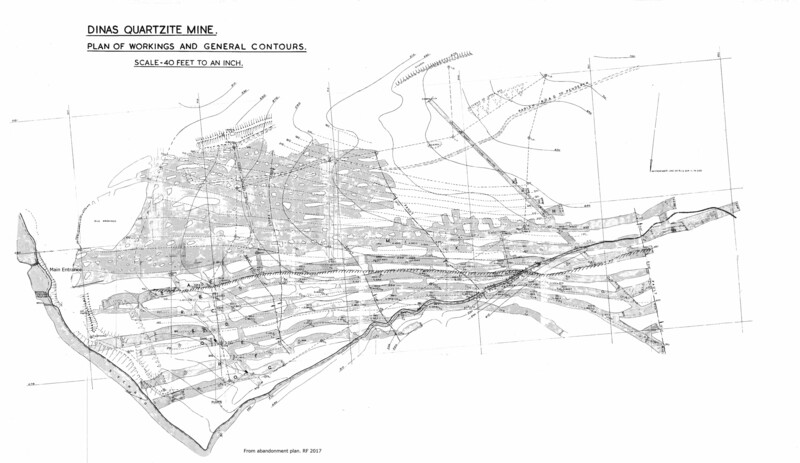 The Upper Silica Mine is a typical pillar and stall working worked by different levels driven from the entrance which radiate to different heights on the slope of the bedding plane which dips downward from west to east. It has many entrances, 4 by the footbridge and of which is walled up, the centre of the first three being the main entrance. 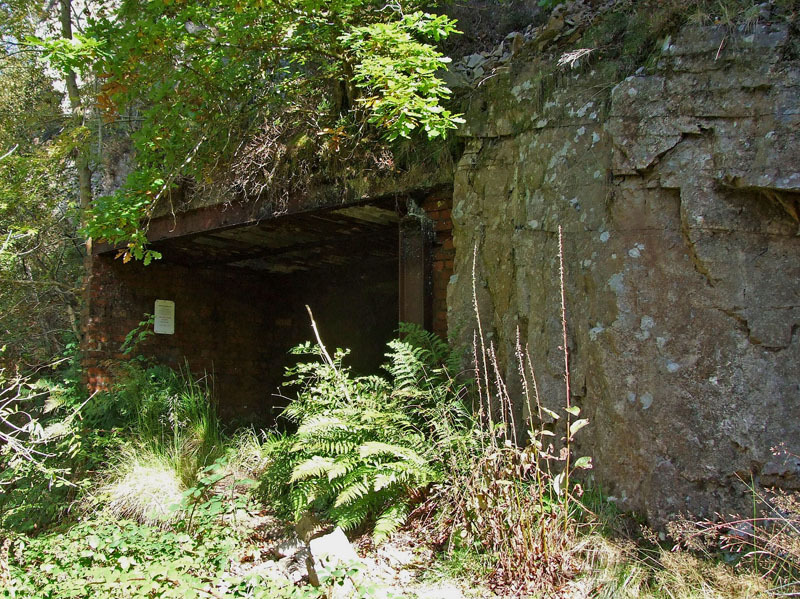 There are also several top entrances springing off an overgrown gully, these enter the mine at top of the bedding plane. There may have been a bridge at one time crossing the gorge from Upper Silica to Bwamaen. The descending path from the mine which follows the Afon Sychryd was a tramway route from the mine and concrete reinforcements of the bank can be seen in places. 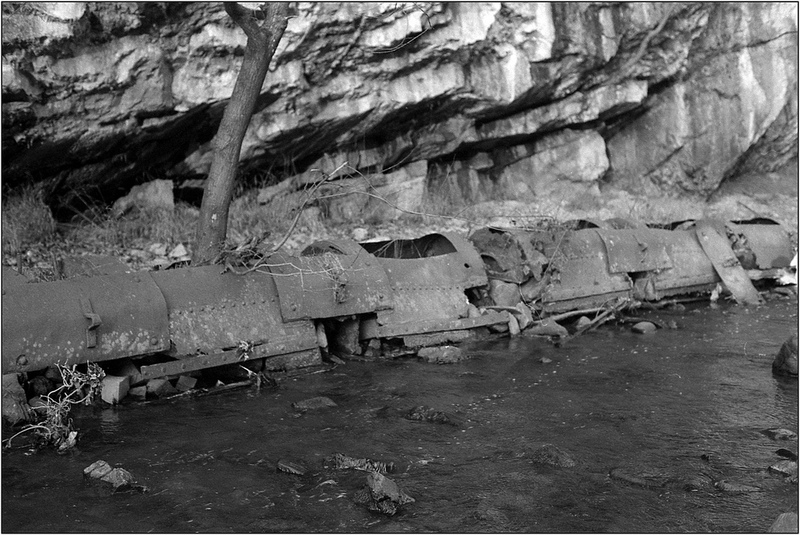 There are also the remains of a rake of trucks lying in the river bed. Up to 1998 these were virtually intact, photo courtesy of Mike Stokes. Unfortunately, this easy route up to the mine ends at a missing structure adjacent to a waterfall and marked as "Hopper" on old Ordnance Survey maps, here there is quite a drop down to the lower path. Picture was taken from the rocks part way down, the concrete loading area below and the one single remaining upright over on the left. 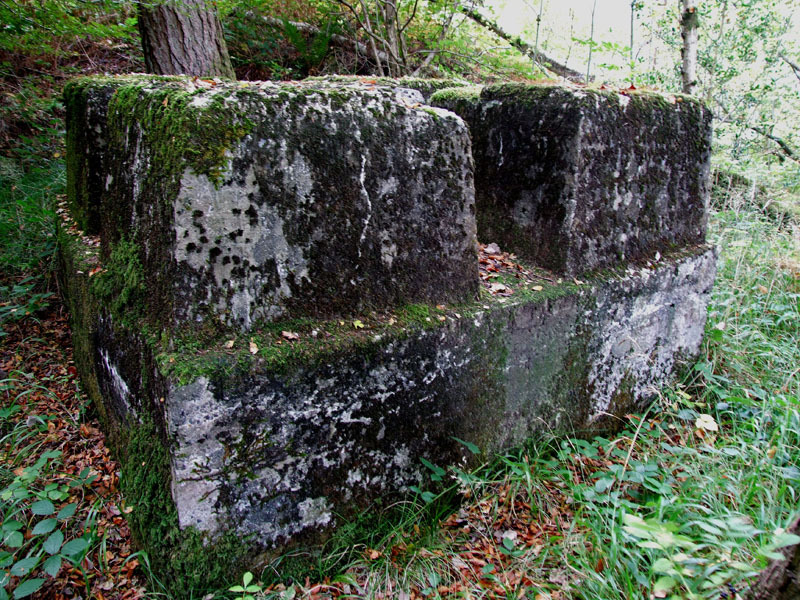 It is possible to explorer the lower section from the Dinas car park eventually reaching the base of the missing structure at a large concrete area. This route passes first Blue Dinas on the opposite bank of the river, noticeable by its barbed wire and display of notices fixed by the landowner, and further on and close to a picnic bench the remains of bridge supports which carried a tramway from Bwamaen lower entrance. 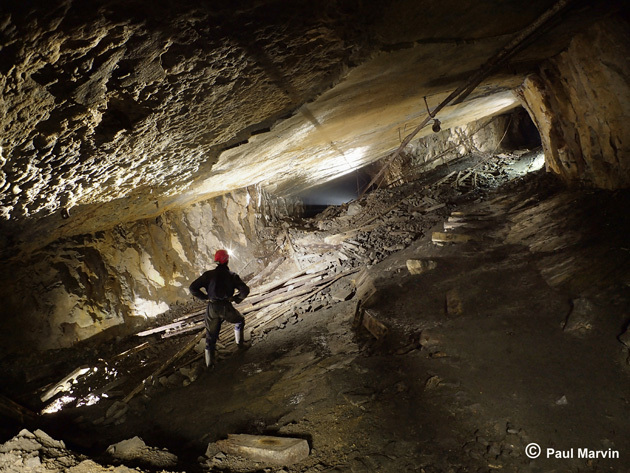 The Silica mine has many interesting features including what was once a powered incline at the back of the mine. 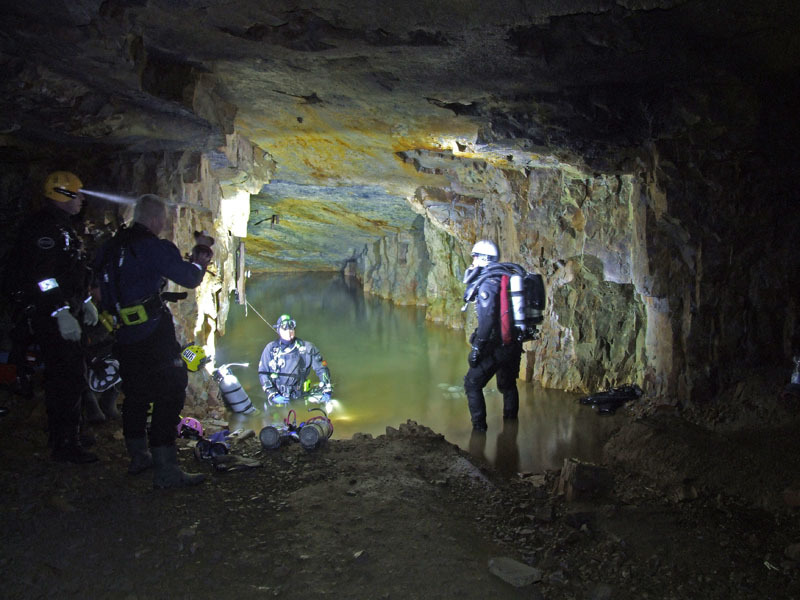 The lower levels are flooded and are a popular venue for cave and mine divers. If you visit the area be sure to check out the gunpowder trail and other attractions in the area. NRW are doing a commendable job of maintaining the Craig y Ddins Car Park, a former quarry, as a public amenity. 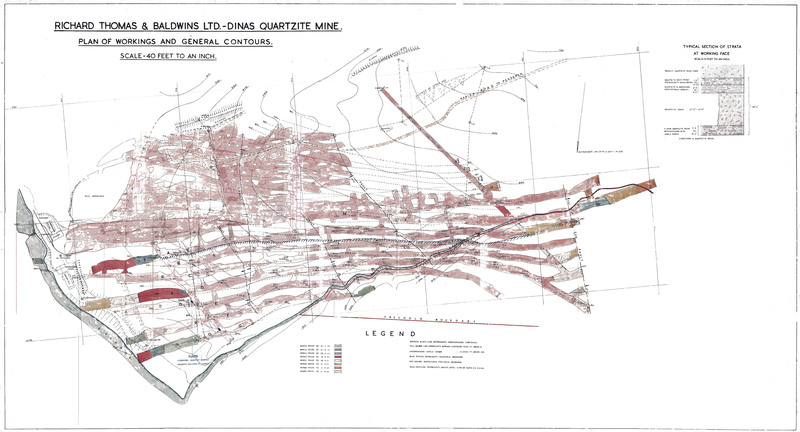 For more information about the silica mine, visit the aditnow website. Some good news. 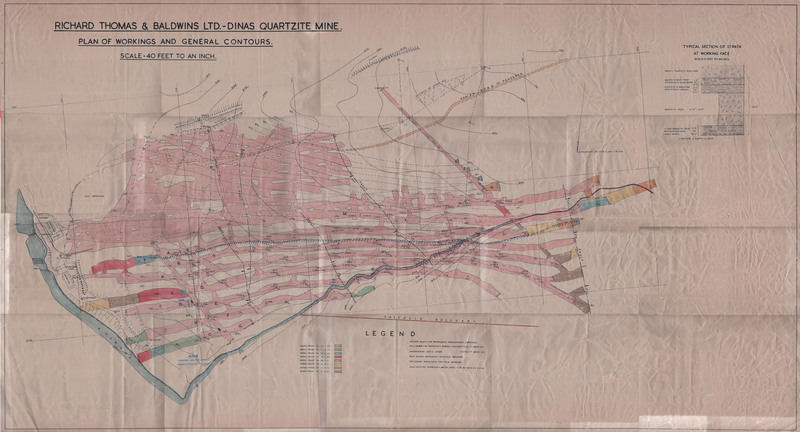 We have recently been able to acquire the mine abandonment plans of Richard Thomas and Baldwins Ltd. These have been digitalised and available for download. Plan in black and white, easy printing. 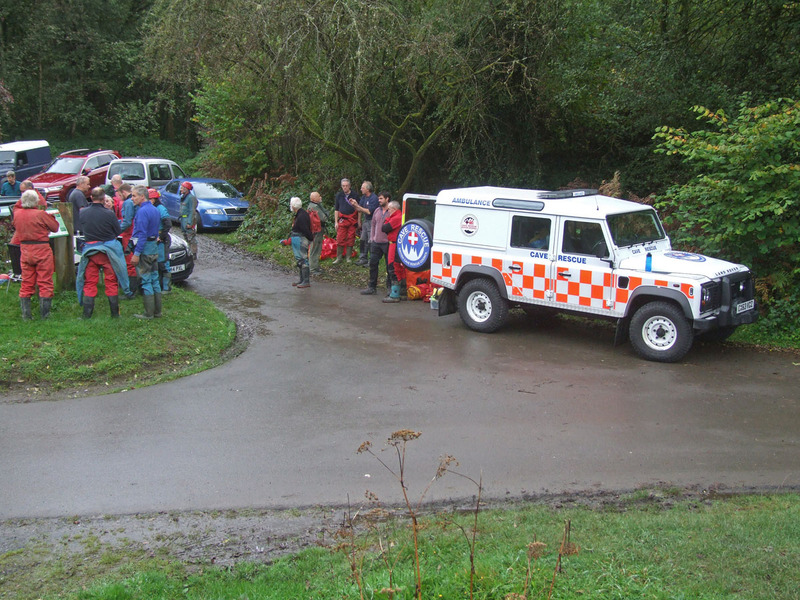 On Saturday 23rd September the South and Mid Wales Cave Rescue held a practice at Upper Dinas.